WhatsApp is the most widely used smartphone messenger app available today. You can download WhatsApp on almost all smartphone platforms like Android, iOS (iPad and iPhone), Blackberry, Nokia and Windows Mobile. Portability of WhatsApp is great since it lets you communicate to anyone using WhatsApp without worrying about the operating system installed on their phone. But what’s great is that now you can download WhatsApp on your computer (PC and Mac) and use it to share stuff with other WhatsApp users just like you do on your phone. We will use a simple trick to download WhatsApp on computer. We will download WhatsApp android app and then we will run it using the trick to run an Android app on computer. The procedure is same to Download WhatsApp on PC and WhatsApp on Mac. • Before you download WhatsApp on your computer, download BlueStacks from here. • Now install BlueStacks on your computer. To do this, simply double click on the exe file you downloaded and follow the on-screen instructions. • After installing BlueStacks, start it and click on the blue search icon on it. 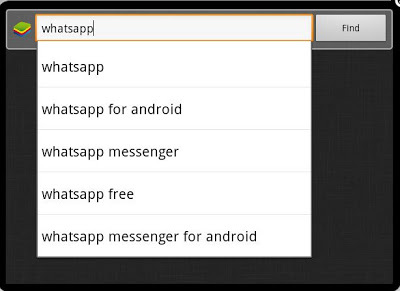 Enter WhatsApp in the search box to find the WhatsApp app to download. • You will get a list of Android App marketplaces in the search results. You can download WhatsApp on your computer from each of these places, but select the official Google Play store to be on the safe side. • Now click on the ‘Install’ button to download WhatsApp on your computer. BlueStacks will automatically download and install WhatsApp on your computer now. That’s it. Now you are ready to use WhatsApp on your computer. To start using WhatsApp on your computer, click on the ‘My Apps’ button on the BlueStacks window. Again the procedure is exactly same for using WhatsApp on PC and on Mac. 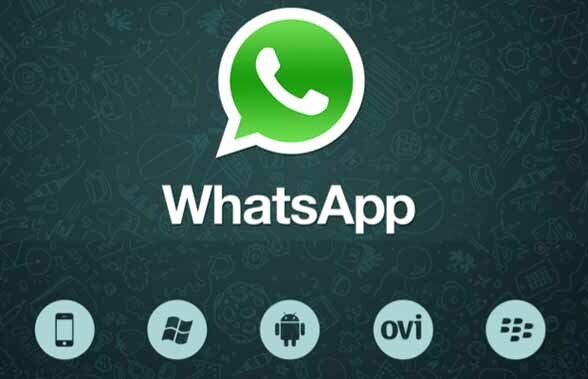 In ‘My Apps’ app list click on WhatsApp to launch it. If you are launching WhatsApp on your computer for the first time, you will need to login (or create an account) on WhatsApp. Once its done, you can start using WhatsApp on your computer just like you would do on your phone. Useful Tip: To add contacts to WhatsApp on computer, click on the bottom bar of the Bluestacks app window. As you click on it, all the WhatsApp options will appear including the Add contacts button.